A post-mortem of the first running of the Extended Experiences Lab with commissions, in partnership with the West End Film Festival. (from a media release) Screen Queensland CEO Tracey Vieria said they were proud to support WEFF and the Extended Experiences lab to help filmmakers develop new skills and techniques to enhance film projects. 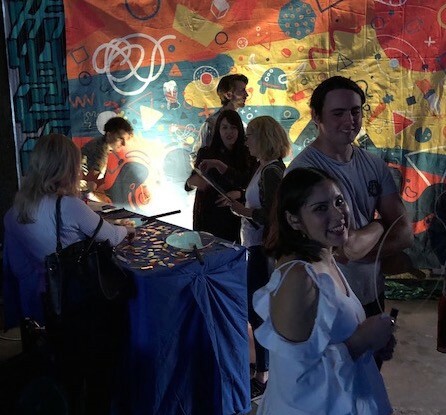 “Programs like this help filmmakers learn innovative ways to extend the storytelling experience through interactive content that connects and engages audiences in a unique way, a key part of unlocking new markets and commercial opportunities in the screen industry,” Ms Vieria said. Last year, I ran an experimental online conference on interactive narrative design called Crafting Intangibles. Screen Queensland supported that event, and were keen to work with me again. I was introduced to Sam Weingott, the co-director of WEFF, to discuss ways interactivity could be a part of the festival. 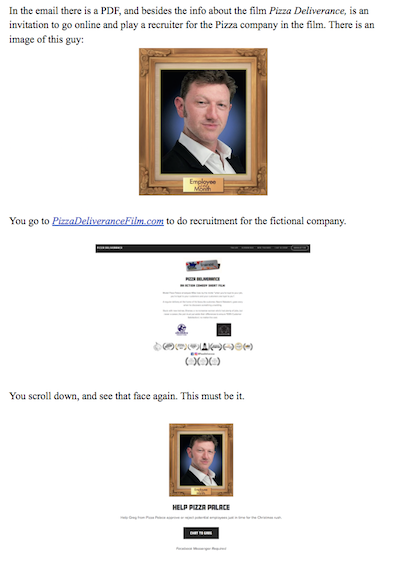 I will say, I am approached a lot by festivals wanting to get “interactive”. Oftentimes they’re not interested in interactive artforms themselves or progressing the field. Instead, they just ant to leverage a trend. That is a waste of my time. So when I chatted with Sam, we spoke about how it could be a reciprocal relationship, benefitting both of us, the filmmakers, interactive creatives, and industry. So I pitched this idea and Sam was all for it. I have worked on indie and multi-million dollar transmedia projects before, but this one was a unique proposition with an indie-indie budget. I love creative challenges. So I submitted a screen culture funding application to Screen Queensland and it was approved. What we did was create immersive experiences around a selection of short films, so the ideas of the film continued in another artform. Audiences experienced the physical and online installations after the film or before. More background here. 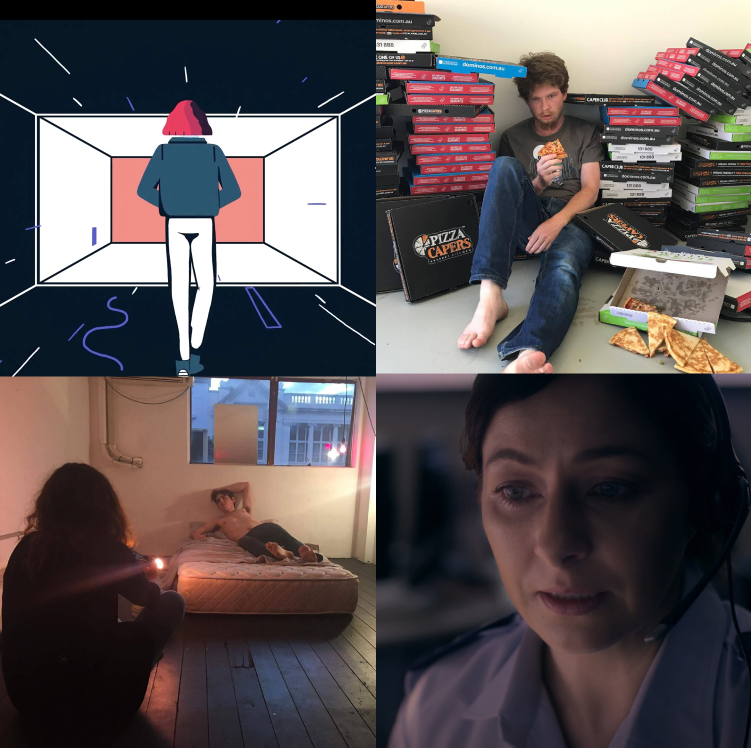 Shots from the four films selected for extension commissions (top left clockwise): Weird, Pizza Deliverance, Weight of the Ocean, A Picture of Other People (sourced from WEFF). How is this lab different? The majority of immersive cinema is for fans of existing (usually popular or blockbuster) films. So audiences are going to the immersive event to get a new experience with something they already know and love. Take Secret Cinema as a prototypical example. These events have thousands of visitors for each screening, for films with strong cult followings. 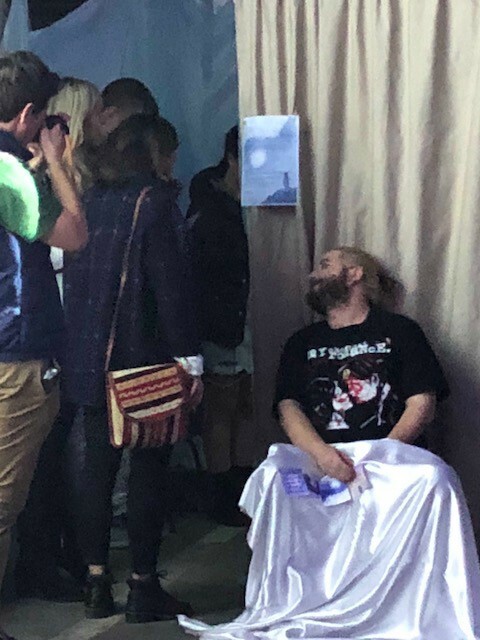 Secret Cinema "Back to the Future"
Then there are immersive events at film festivals, which are becoming a wonderfully common occurrence. Those immersive events are mostly original or self-contained installations, they rarely have a relationship to the films in the festival. There are exceptions, for example with films that have an accompanying exhibition that tours with the film. Lauren Greenfield’s Generation Wealth does this (I was able to catch the exhibition at the Nobel Peace Center in Oslo earlier this year, which was super great). But this multi-sited experience is not the norm. Therefore, the EXLab was an unusual proposition: low-budget immersive installations to be made for the films being shown in the festival…specifically for short films, and films the audiences haven’t seen before. Indeed, there were many design challenges to this proposition and new ones that emerged along the way. The films had already been created, and so I had to use a retroactive design approach. We couldn’t change the film, which had been constructed to work as stand-alone and self-contained. And so we had to figure out how to transform it to a cross-media work after it’s initial creation. A lot of transmedia design is focused on feature films, as the area was popularised through the study of Hollywood franchises. But any creative project, of any size, can be extended. I was worried going in, though. I thought the concentrated nature of short films would exacerbate the obstacles of a retroactive approach. What if there really is no room to play with any characters, plots, moments? It turned out to be no issue at all. Films with good storytelling were rich with pregnant possibility, films with strong cathartic design were ripe for a continuing experience, films with a clear genre lent themselves to familiar extensions, and films with elements that could be exported from the film world into ours were easy to imagine. Audiences hadn’t seen the films before (most hadn’t), and so the usual cross-media appeal factors couldn’t be utilised. We couldn’t say “hey, you know that film you love? well now you can step inside it!”. Related to the unfamiliar nature of the film was the unfamiliar nature of immersive experiences. We designed around the premise that the majority of the audience will be in a pure screening state-of-mind. That is, they are there to see the films, perhaps socialise with mates, and leave. They don’t expect to participate or do anything further. The film is for the duration it is on screen and that is it. The installations therefore needed to be optional, with a welcoming and easily accessible guided entry experience, and framed prompts. An example is an idea for one of the teams: to do a short introductory narration, and then after the film do another short narration with a call to action to answer a personal question (related to the themes). The question will be on a card under the chairs already, so we don’t waste time handing them out. But we needed to have the another film at the end of the session (they were having pizza delivered, and so the smell would create a new environment for the space). So we had to put this personal question at the beginning of the session. It wouldn’t work though, because people are coming into the session to sit down and watch. Asking people to then output emotional and mental energy right at the beginning, and interrupt the pacing of the rest of the screening, would be too much of a demand and experiential shift for the audience. If you have a screening festival where people know this is happening, then you can do a lot more. The creatives commissioned to design and make the extensions were not familiar with the films or the extension-making process. And so the emphasis needed to be on facilitating quick investment in the films, concentrated analysis of the film, with encouragement to utilise what is familiar and exciting for them. Cinemas at present are not set up for extended experiences. There are some social spaces — a bar — but not spaces for pre- or post-experiences. You want the spaces to be in the midst of social traffic, but not competing with loud conversations. I find it interesting that cinemas still think of themselves as just places for screenings. I was therefore prepared for some workarounds in terms of negotiating space. This would become a bigger deal that I thought. 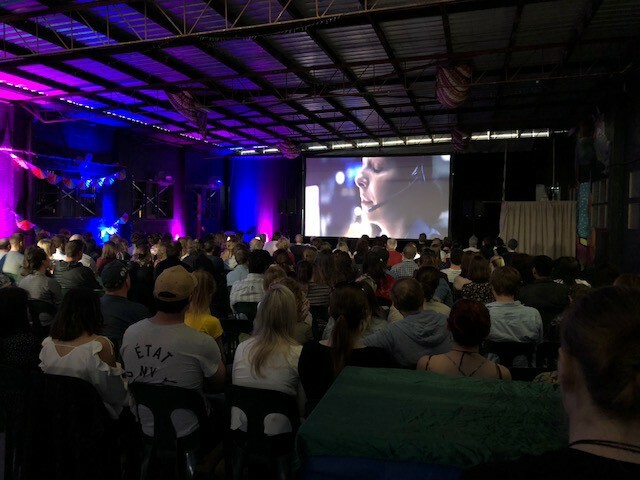 Photo of the films being screened at WEFF in the warehouse at West End. The venue for WEFF was not a traditional cinema. At first this seemed a blessing. It was a large warehouse area, with a lane and pub at the front. The original plan was to put the installations in the lane area and the pub. But then the venue mistakenly double-booked events, and so we ended up not having the lane or the bar. We found this out 3 weeks before the event. Now, changes always need to happen on projects. I expect the unforeseen and just figure out the multiple alternatives…the ways to reach the goal in a different manner, and try to make it a fortuitous change. But we even had to change the installation spaces on the day of bump-in, because the festival had to make last-minute changes on their end. We made it work, and it worked well (besides one booth, which I explain below). It did give the teams the feeling, though, that the installations were not being thought about and possibly even welcome. This wasn’t the case, and would be less a problem now that everyone has been through the process. When venues and events are making the necessary last minute decisions, the unfamiliar often gets left out. So keeping in people’s minds in necessary, and of course less of an issue once it has been experienced. But with the accidental double-booking, also emerged an opportunity. Rather than have the whole markets area for our own installations and socialising, it was now being used for a popular Vegan Market. 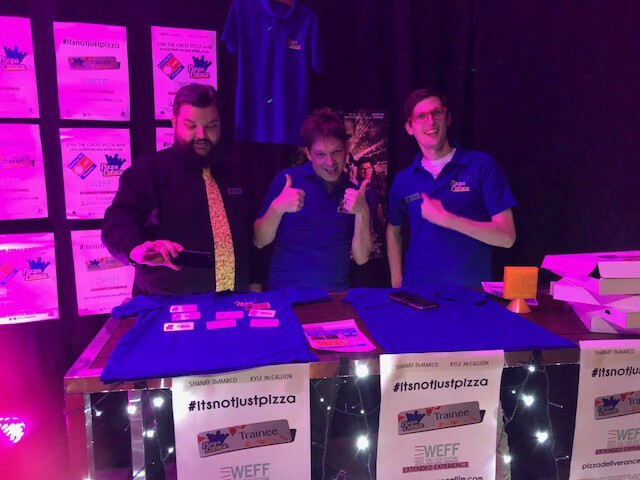 One of the teams was doing an extension for a film called Pizza Deliverance, in which pizzas were going to be delivered. We were encouraged to not have meat pizzas to work with the Vegan community. It turned out that one of the possible sponsors had just relaunched their vegan cheese, and so it worked as a perfect cross-promotion that suited all parties. The next action after that was to integrate vegan pizzas into the storyline, so that presence was justified and meaningful. The sponsor didn’t materialise in time, and so we didn’t go down this avenue — but still, it was a great workaround. During the bump-in we realised the festival had a photo booth. Of course they did, but it slipped all our minds. 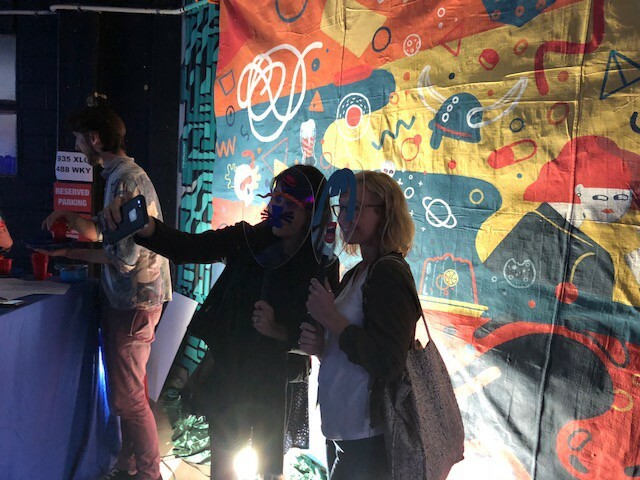 One of the teams, for WEIRD, had created a photo booth. At first this seemed like an unfortunate double-up of activity, but then we realised that it could be used to our advantage. The photo booth for the festival is about presenting yourself for status, whereas the photo booth for the film was about being weird. The juxtaposition could work as a shadow activity. Photo of the WEIRD creative team, and myself (L-R): Lauren Edmonds, Tim Monley, Christy Dena, Gianni Tills, Emma Symons. To help promote to lab commissions to the filmmakers applying to WEFF, I did an interview on their website. To promote the applications opening and help people understand how extensions work, I recorded a special interview podcast. I conducted a live consulting session on extending a horror feature film, The Contents, with writers and director Shane Krause and Shayne Armstrong. Their previous films include Acolytes, starring Joel Egerton, and more recently The Darkness starring Kevin Bacon and Radha Mitchell, and directed by Greg McLean (Wolf Creek). Live consulting session with Shane Krause and Shayne Armstrong: https://soundcloud.com/christydena/extending-a-horror-film-christy-dena-with-shayne-armstrong-shane-kraus-1. Photo of some Lab participants, doing a paired activity. The lab materials are from the design kit I have been developing these past couple of years (to go with the book). Some of the materials are ones I have used before and blind-tested with others, and some are new for this lab. Participant Briefs: before the Lab, there were separate preparation briefs sent to a) the filmmakers whose works were selected for extension, b) the creative teams commissioned to extend the films, c) and other filmmakers who were coming to develop their own films. Traversal Journey Opportunities: also popular was this handout, which shows the different stages of the journey to, during, and from a creative project. The sheet shows some of the functions each of these stages can have, as a way to see where the opportunities for extension are in terms of what is happening for the audience at that time. Traversal Promises Notes: this is a worksheet for participants to write their notes on the kinds of cross-media promises you can engage with. This handout can be used for notetaking, or brainstorming. See my GDC talk and case-study for more info about these promises, and my analysis of Amazon/Campfire’s “Man in the High Castle Resistance Radio” Experience. Traversal Playsheet: this is a reworking of a storyboard, but each cell is a project point, with traversal prompts in between. It is used for brainstorming around the existing work. Audience Flowchart: a visualisation of the various paths your audience can take through your different projects. When we move beyond a single project, there are different points-of-entry (POEs) for your audience. This is a chart that shows the various paths. Audience Paths: this is a continuation of the flowchart. It is like a storyboard, but for each possible path your audience can take. You can name the paths and write in strategies for each one. Values Handout: this handout explains the background to values research, and gives methods for identifying the values in your project and how to use it to structure it. Your POV: a handout with guided interview questions to get to the core of a peak memory, as internal research. Certificates: participants that did the survey (through an honour system, it was anonymous), received a beautiful custom certificate with the art from the design kit & book. The following are the items participants needed to produce during the mentoring period between the lab weekend and the festival showcase delivery. These materials are beyond the actual installation, and are development documentation as well as public-facing materials. 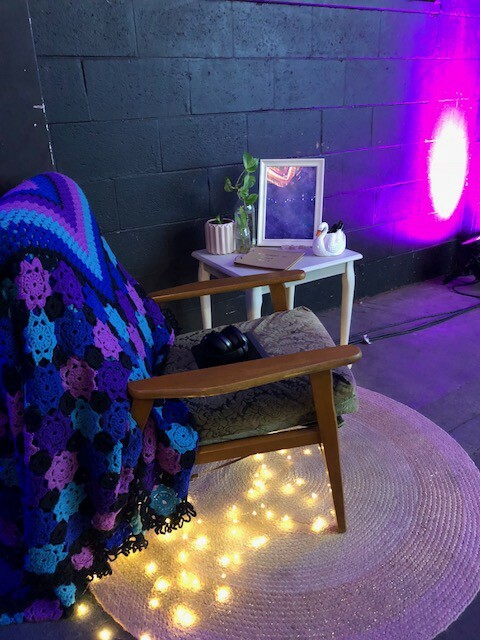 A Walkthrough Script is a first-person walkthrough of the journey from the audience perspective, from the moment they discover the installation to their leaving and perhaps follow-up experience. 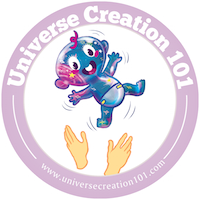 It is all the points in which we as creators come into contact with the audience, the touchpoints. I found this document to be a critical design tool for getting teams to think in terms of experience design rather than object design. 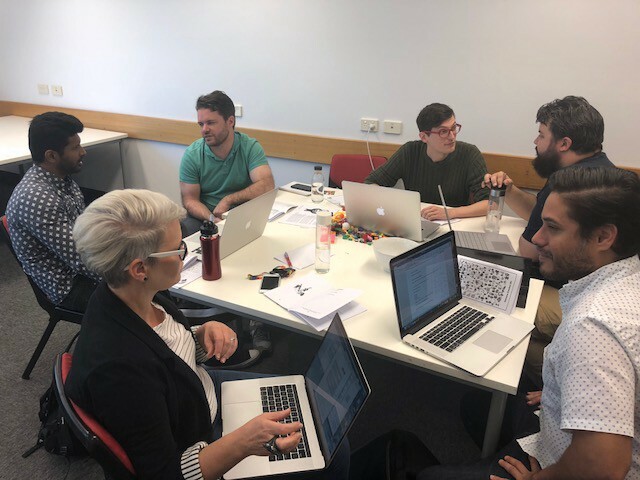 While teams did create scripts and synopsis and wireframes, they were focused on the experience of the work at a single point in time rather than the work in relationship to the film, the festival screening, and journeys to and from the venue. I have been using such an approach for years, ever since I stumbled on the script by James Cameron and Adam Bezark for the Terminator attraction opening at Universal Studios Florida, called T2: 3-D: Breaking The Screen Barrier™ (see screenshot below). As I explained in a short MediaCommons piece, it was here I saw for the first time a script that was from the perspective of the audience, and it included the pre-show experience. It is no wonder, coming from the “guest-experience” design perspective of theme park attractions. 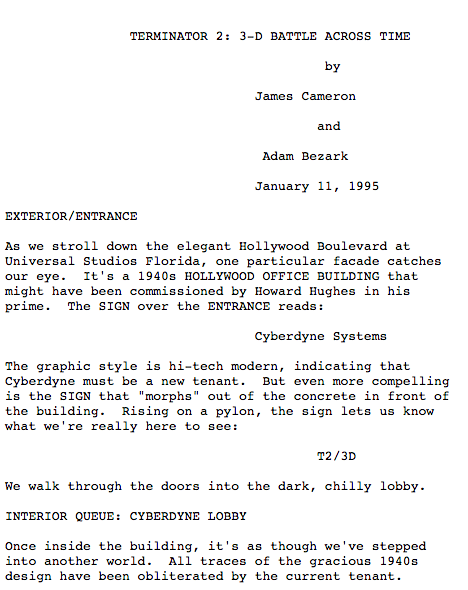 Screenshot from James Cameron and Adam Bezark’s Terminator 2: 3-D Battle Across Time script (sourced from http://www.scifiscripts.com/scripts/t23d.txt). More recently, we’ve seen some (a?) 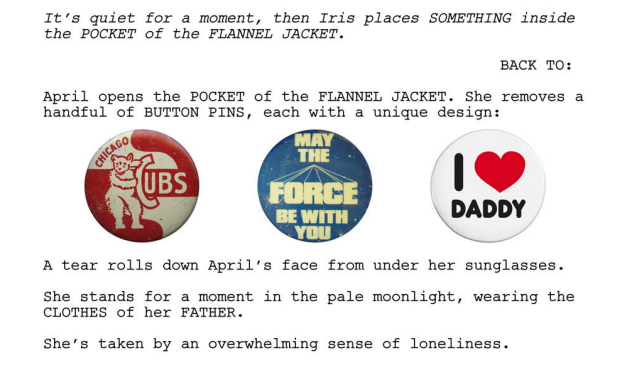 feature film scripts explore a multimodal approach, as seen in Scott Beck and Bryan Woods’ A Quiet Place script (see screenshot below). I started with a script format, but not all the creative teams were used to that format, and we needed to use simple Google docs to facilitate group contributions. So we switched to regular document format. And unlike the other scripts mentioned here, the walkthrough script had other functions: to facilitate not just an understanding of the audience journey, but also to facilitate continuity checks, an understanding of the cumulative reading/interpretation experience of the audience, and communicate the work to stakeholders. Use second-person language (example: “you see the poster for the installation, and then as you turn the corner you see…”). Include all the ways you come into contact with your audience. Include audience thought processes about cross-media recognition (example: “you remember the song from the film”), but do not slip into qualitative thought processes (example: “you remember the song you love from the film”). Qualitative language puts the designer into the frame of mind of a non-existing ideal consumer. Whereas recognition statements are about humanising the process of the cumulative reading. Include all the (key) cross-media connections experienced during the extended work. Include stills, screenshots, audio links, etc of the development documentation (eg: wireframes, concept sketches, prop photos), as well as the film elements alluded to (example: “you recall the song from the film” = link to the song). This facilitates a continuity audit and keeps the cumulative experience in front of mind. 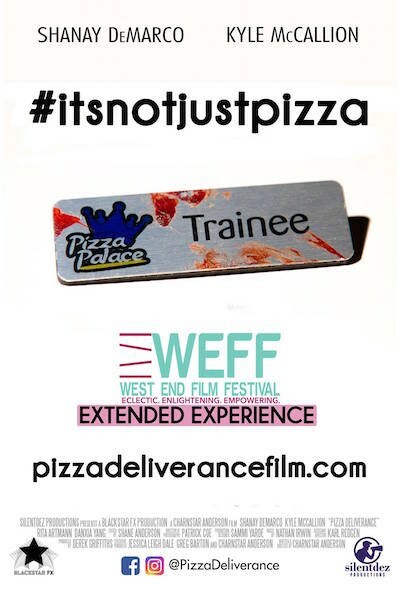 Teams were encouraged to make social media teasers for WEFF to use. Some created them to utilise in their own existing communities, some in their own media channels, and some not at all. Ideally, social media teasers speak to the audience they’re addressing (rather than talking to some general non-existing mass). So they be designed to be understood by a certain community. They come with their own baggage too, in terms of understanding of what an extended experience is. 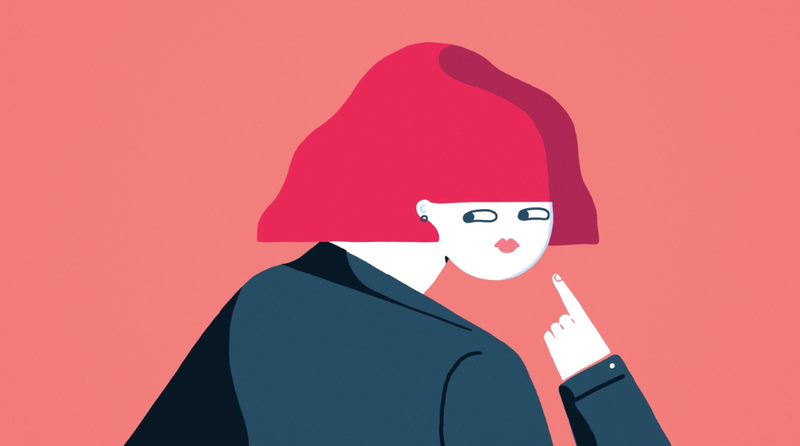 Some used the allure of an idea or theme, and some used the allure of personalities and tone. Teams were encouraged to create descriptions and teasers to email to the festival holders. WEFF were generous in allowing us to message the ticket holders of both days. This way we could encourage attendees of one day to come to our day (there isn’t much cross-over of audience attendance on the days), and it helped explain and frame the experience for those coming. Example invitation gif for the Weight of the Ocean Extended Experience emailed to ticket holders. Teams were encouraged (where applicable), to create a synopsis of the extended experience for use at the film or installation website or event page, and the festival page. I ended up doing most of the descriptions for the emails and online materials, as I had a better grasp of how to describe them while the teams were still figuring out how they worked. Teams were consulted with to write short intros and outros for each of the film screening sessions. We wanted to explain going in why there were some installations around, and foreground the films that are connected to them, and then give them a call-to-action after the screening to go to the installations. Intros and Outros speeches had to change on the fly according to the vibe of the room, and changes to film order. For instance, we didn’t know there would be another film featuring phone calls pretty heavily (completely different genre though), just before the end of a session where I was about to give a call-to-action to another film that featured a call centre. So, having the full list of the film order before hand is helpful to preparing your framing language. The wording is crucial in a short film context, to ensure I’m triggering memories of the right film. Teams were encouraged to create a post-film call-to-action to the installation for screening after the film (as applicable). This isn’t always appropriate, as you also want to consider the screening experience as a whole, and how people are watching in a particular mode. If not done correctly, the call-to-action can slip into an intrusive advertisement. So instead, these need to be artistic in their own right and in line with the experience of the film. I originally planned to have an optional audience survey on printouts at the festival and/or sent via email to ticket-holders afterwards. But I decided against it in the end because I wanted the experience to light touch — optional, artistic — and not interfering with their expectation of the film festival experience. In a different context, a survey can definitely work. Instead I did observations, took photos, and spoke to participants and creatives (and conducted two questionnaires with the filmmakers and creatives after the lab and festival). A couple of teams were keen to collect emails and follow up with emails (as applicable). I needed to see these to check the language to ensure the cumulative experience was being honored. Creatives can sometimes write these preparation scripts in their pre-release state of mind, as opposed to the post-event state of mind of the audience. 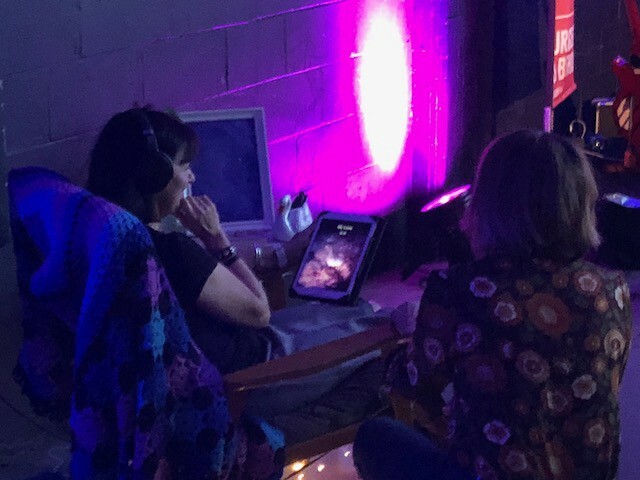 The Walkthroughs were then updated (new versions) with screenshots of the final project elements, and photos of the audience experiencing the works. These were used as part of the acquittal to the funding body supporting this project, Screen Queensland, for the creatives to use on their portfolios, and for archiving. It is an excellent way to document the experience if you don’t have a budget for a documentary (or even just want a non-moving-image archive too). What did the creatives do with their extensions? I recognised that was important that the creatives could “extend” the work in a way that resonated with them. This meant not just what they created, but how. So I instructed everyone to come to their own collaboration arrangement. If they wanted to take on a service role (executing the filmmaker vision), then they could. But if they wanted to create their own take on the work, they could. With approval of all involved. I kept touching base to see how this was going. I found that each team had their own collaboration dynamic, and it was mostly decided at the lab, in person. There was one team whose filmmaker was overseas. The filmmaker ended up not being involved as much because they were so busy. And a local filmmaker gave their interactive team full creative control and independence, which they loved. So no matter the distance or the relationship set up, the minimum rewarding relationship for the interactive creatives is to have the filmmaker at the very least responsive to communication (of course). Next time I will make it clear what minimum involvement is required as part of the contract. Creative Team: Game designer Ruby Simpson, and opera singer, actress and writer Ash Freed. For A Picture of Other People, the team continued the essence of the film, choosing to create a new work that speaks to the theme/message of the film, with invocations of the imagery, props, and events. Because it wasn’t tied to the events of the film, it was plot-agnostic too but was stronger after the film as a cumulative experience. The story features a call that ends with the audience considering their life and their relationship to other people. The creative team explored this notion through a specially-made app installation called “Conversations with Other People”. You make calls and hear voices of people, leading to a reflection on your own life. The calls and UI, and language, and installation all have callouts to the film’s look and feel and moments. This work could only have one audience member at a time, but others waited to experience it next. They concentrated and listened to the work, even though there were people talking around and a musician (who played later and softer for us). Audiences were deeply touched by the work and signed up to be notified when the App will be released. 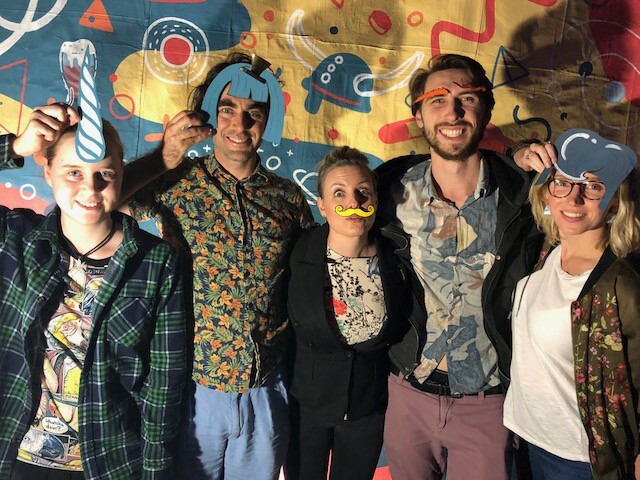 Creative Team: Games and theatre creatives Tim Monley and Gianni Tills, who are behind live experiences such as The Game run at Woodford Folk Festival, and assistants. For Weird, the team also continued the essence of the film, highlighting the theme/message of the film, and adhering to the art style, font, language, and props with strong call-outs to moments. It was plot-agonistic, but was stronger after the film. Audiences saw the large canvas that was painted for the event, using art and colours from the film. 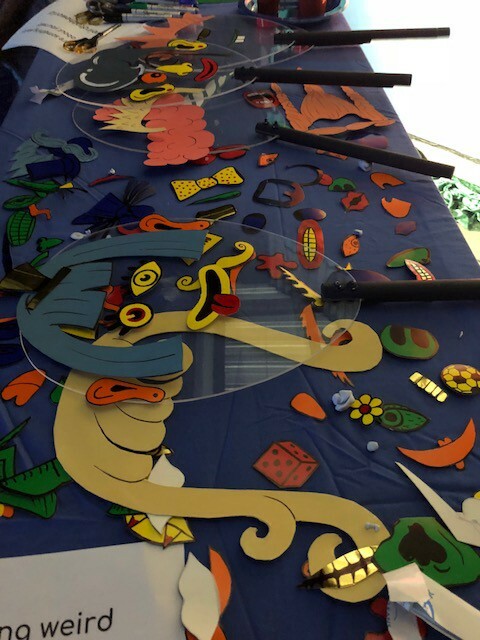 At the canvas was a table with items audience members could use to create weird faces on specially-made perspex masks. They are encouraged to take a photo on Instagram, sharing their weirdness to the world. They could also indulge in a warm coke and marshmallow drink. The making of masks and taking photos was a quick popular activity with audiences. Photo of the elements audiences can use to make weird faces. Photo of the installation space for the WEIRD Extended Experience. Creative Team: Animator and public art instigator Lucinda Clutterbuck, game & VR artist Nikola Malbasic, and writer and sculptor Lewis Argall. For Weight of the Ocean, the creative team continued the look & feel but did a reframing of the work. They created an installation that emphasised the parts they were touched by in the film and from their discussions with the filmmaker. So it was more about connecting with why the film came into existence rather than what the film was saying. 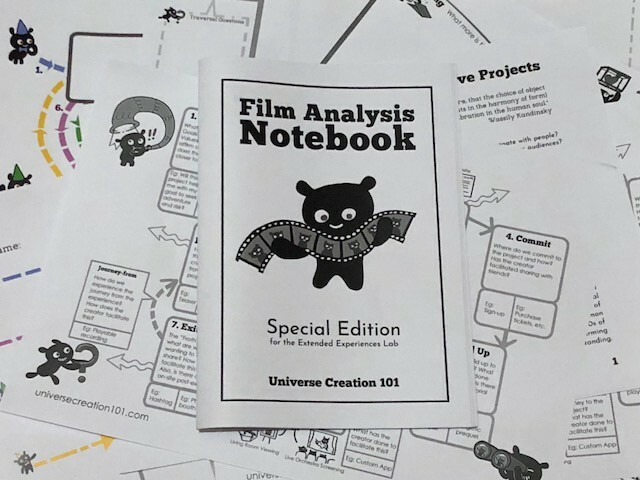 This came out of the activities in the “Film Analysis Notebook”. It was a plot-agnostic experience in that it could be experience before or after, but was stronger after. 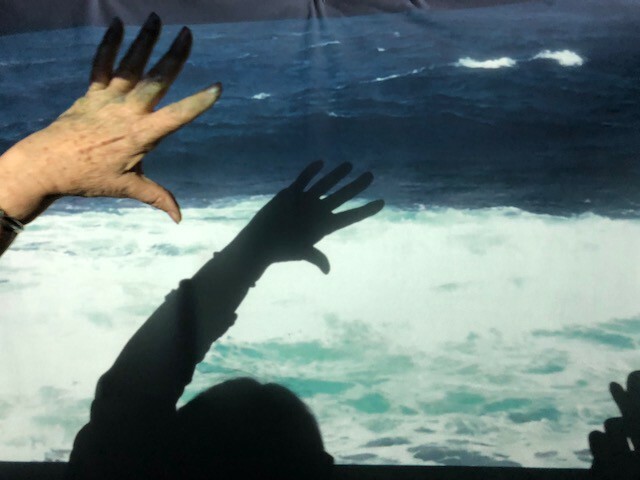 The team are public artists, sculptors and animators, and they made a curtained area where you watch a projection of the ocean, read a letter from a mother to her son, and are prompted to respond to the question “why do we love?”. The handmade question cards were then sewn onto a fabric. It was a touching experience, in which some audience members cried. The filmmaker and creative team are continuing to collaborate with new installations around the work in Sydney. Photo of the “Weight of the Ocean” projection (with specially-filmed ocean for the extended experience), along with ocean music. Creative Team: App developers Zac Fitz-Walter and Jimmy Ti from Eat More Pixels, who work in gamification, playful design, augmented reality. “Pizza Deliverance” film trailer: https://vimeo.com/238721007. For Pizza Deliverance, the creative team continued the look, feel, and logic of the world. They honoured the same characters, plot lines, and utilised the inhabiting promise. This could be played before or after the film because the fun of inhabiting is a strong draw, but it was designed to be a pre-experience setting up moments of recognition in the film. The team created a chatbot in Facebook messenger, where you could chat with a recruiting officer, to help interview people to hire for the Pizza company. Those people are characters featured in the film. It was full of great comedy with strong plot, tone, and visual and aural references to the film and the film’s genre. Getting people to experience it before the film proved to be difficult though, even getting the existing audience who had seen the film in other festivals. So in retrospect the team thought it would be better to leverage the event experience. The booth had diegetic props, with the in-fiction t-shirts and pizza employee tags. The positioning of the booth at the front of the entrance we thought would be ideal, but ended up being a distraction from the entry traffic. People were in the state mind of getting in to the venue, rather than stopping to go to a booth. Since the audience had no frame of reference for it being an experiential booth at WEFF, it was considered superfluous. But if the booth was inside, audiences would have approached it with a different mindset. Positioning. The team did a great job though, and now the filmmakers (who were heavily involved) are keen to continue this with a digital game. This lab focused on a retroactive design approach, where we transformed existing self-contained films into a cross-media one. Besides the approaches and documentation mentioned previously, two design techniques crucial to ensuring the audience experience worked were continuity kisses and joiners. 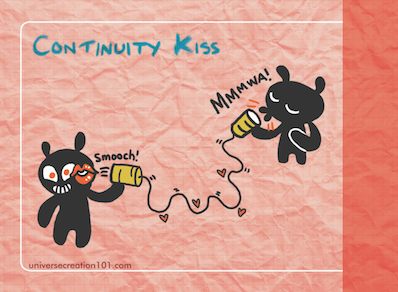 Continuity kisses are the conceptual, aural, visual, haptic references to the original, past, work that help promote a cumulative experience. For the audience, continuity kisses facilitate recognition of the world of the film, engage a familiarity experience, and inform interpretation. For the creatives, the questions in the “Film Analysis Notes” guided them to identify what elements could be utilised for these continuity kisses. Important in this process is that it is about what is important generally, but also what is important to the creatives. What was effective too was rewatching the film after they’d done their initial design externalisation (their walkthrough script). It was then that you can see just what colour that prop should be, just what line that character should say, just what event to allude to. Once we had things to see, say, and do, it was easier to identify what could be utilised. So continuity kisses are about a iterative, personal, process rather than the top-down/waterfall approach of a continuity bible. Also, by placing screenshots from the film into the walkthrough, you create a visual reference at the point of (described) experience. To audit continuity, I would juxtapose the images of the installation elements (eg: App screenshots) with the film, to make it clear how things work together or don’t. Some of the continuity kisses are overt, and some are subtle. Subtle continuity kiss example: still from “A Picture of Other People” film with the glowing yellow star lights. Subtle continuity kiss example: photo of the “A Picture of Other People” extended experience “Conversations with Other People”, with flowing yellow lights. The other technique that I found was critical in this context was Joiners. Joiners are the overlapping elements at the edges of a project that help audiences recognise the relationship to another work. They’re like continuity kisses, but their function is specifically to enable the audience to recognise and remember a previous work as they enter the current one. It triggers a framed reading. At the short film festival, we didn’t have the benefit of a captive audience being there for one film. So the audiences were seeing a lot of films in each session, and the installations could be for any one of them. We had the intro and outro speeches around the sessions, but I felt we needed cues within the works too. This is so audiences weren’t burdened with the cognitive load of remembering the films in their head. So, joiners manifest as the elements in the entry experience that cue the audience to recognise and recall a specific film. Film posters aren’t always helpful for this, as they’re designed to draw people to a film not to help people remember it after viewing. They therefore may not have a peak experience scene depicted on them for example. Joiners manifested in the art style, the titles, props, language, sounds, and actions. I will note though, that I believe the installations stood on their own, but audiences were rewarded with combination aesthetics if they recognised there was a relationship to a film they just saw and the interactive work. So having these moments (images, music, names, characters, tone, etc) in the entry experience was critical to facilitating this cumulative reading. 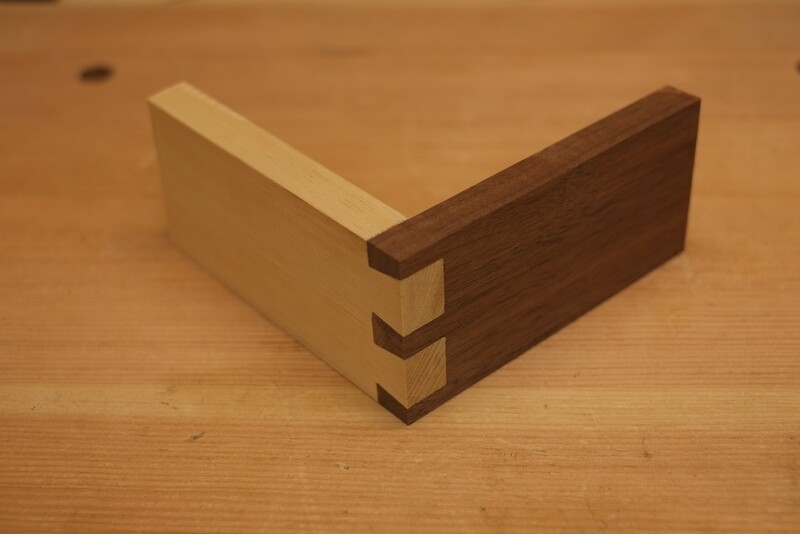 Example image of a woodwork join, from Craftsy. Treat the entry experience for the lab participants as their discovery stage. As I found in my last event and again in this one, there will be a small contingent of people that commit to my events without going through a consideration phase. It is super great that people are committing based on the event title and description, and perhaps with the added endorsement of social shares or organisation prompts. But I’m realising that they’re not going to the website to read further information, even though they need that further information. They want to commit to the event, but I know they need the consideration. What this means is I need to provide the elaboration information for them consider during their Entry Experience. I have to assume that not everyone who has committed to the event knows why they have yet, or have considered the benefits of it. They are pre-contemplation. Reduce the amount covered in the intensive. This was the first time running this particular lab. And as is the case with new formats, I tried to fit too much in. I really wanted to pass on so much, but not all can be taught effectively if it is too tight. So I am taking out certain materials and techniques from the two-day lab. The next one will run in October, and won’t have the associated commissions. But it will be a deep dive into how to extend an existing film, TV show or game with updated versions of the materials. 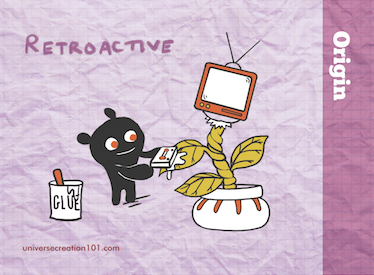 Do the event reconnaissance as part of the Lab. After figuring out who could attend when, we held the on-site reconnaissance session 2 weekends after the lab, and 3 weeks before the event. Knowing the constraints of the space, and also drawing from the space and context for inspiration, needs to happen early in the process. So if I did this again, I would pre-schedule it to be either during or within the week of the Lab rather than 2 weeks working around participant schedules. I surveyed the lab participants after the lab, the teams after the festival showcase, and observed, and reflected on the experience. The whole lab did succeed in transforming the practice of many filmmakers and creatives, and the works successfully touched many audience members. WEFF were thrilled to have us involved, and Screen Queensland excitedly shared the results in social media. There are of course changes I will make to improve the smooth experience for all involved, and I am thrilled that this experiment worked on many levels despite some first-run kinks. 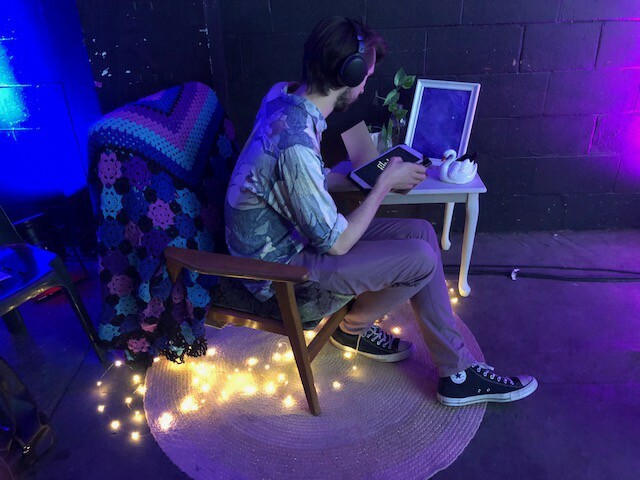 The artists involved are already changing the way they develop their projects, and some are pursuing funding to new extensions and cross-artform projects ideas.